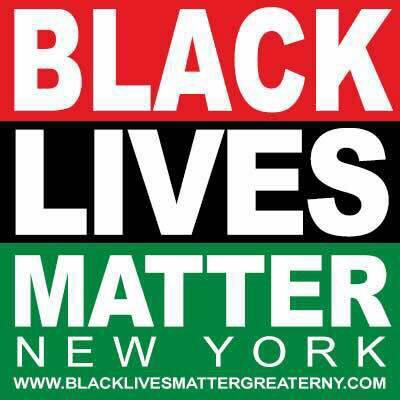 Black Lives Matter of Greater New York is a direct-action protest organization that claims to support the liberation of the black community from racist oppression. The organization is not affiliated with the official Black Lives Matter (BLM) movement and instead operates as an independent path from the national movement. Its leaders have been frequently profiled in the media and have reached out to constituencies as different as supporters of President Donald Trump to chapters of the far-left Democratic Socialists of America. Black Lives Matter of Greater New York became active in 2016. It has a reputation for being more direct-action and confrontation-oriented than other BLM chapters and organizations. In February 2017, New York City Police Department officers arrested Newsome while he was protesting against the Trump administration’s travel ban on several predominately Muslim countries. Newsome claims that he was nearly killed during the arrest. All charges were dropped. In June 2018, Newsome was arrested in a scuffle with New York City police during a protest. He claims that an officer hit him with a bicycle. In July 2017, organization members were involved in a counter-protest of a neo-Nazi march in Charlottesville. In September 2017, Newsome and members protested a pro-Trump rally on the National Mall in Washington D.C. In a twist of events, rally organizers allowed Newsome and some members of his organization to take the stage and address attendees. Newsome and his organization were denounced by the official Black Lives Matter organization for accepting the invitation. In March 2018, Newsome and the group took part in the New York City March For Our Lives anti-gun rights rally alongside New York Governor Andrew Cuomo (D).